Instead of parachuting in a highly-rated Pinot Noir clone into a vineyard, winemakers in New Zealand should use mass selection more readily to discover the vines that are already performing best in their own soils, believes winemaker Larry McKenna of Escarpment. While viticulture, spacing, and vineyard design are all more important than clones, says McKenna, he believes mass selection of clones “makes more sense” for Pinot Noir than clonal selection. 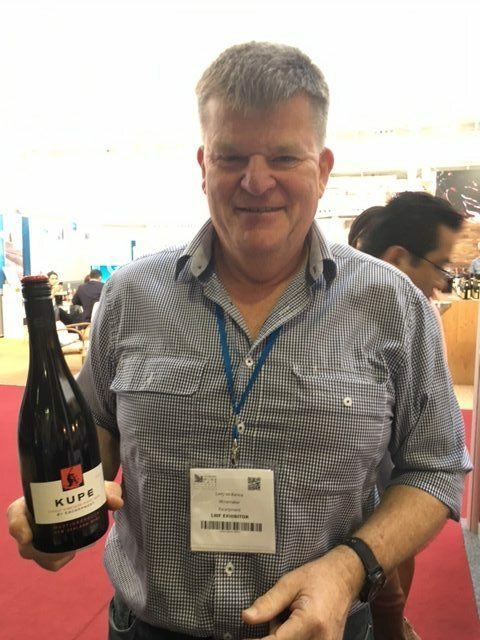 “When you have a clone that’s performing really well within a particular site or district, then select cutting material from that and propagate that material, rather then perhaps bringing in something that’s maybe well known but brand new to the district,” says McKenna, speaking to the drinks business at the London Wine Fair. The most common Pinot Noir clones in New Zealand are 113, 115, 667 and 777 from Dijon, as well as “Abel” and UCD5 Pommard. However the whole process is “completely complicated” by rootstocks, says McKenna, which he says New Zealand is yet to fully explore. “There’s a lot to be discovered about rootstocks and soil combinations in New Zealand – the combination of rootstocks, varieties and soils,” he says. When asked about New Zealand Pinot Noir is evolving, McKenna said winemakers were generally seeking our “more elegance” and were picking earlier to achieve lower alcohol. The challenge, he said, was finding greater complexity, with increasing vine age a factor in this. Returning to the role of clones in achieving greater complexity in a wine, McKenna said he ranks clones by A, B and C quality, but that the intention is never to just plant A quality clones. As for other varieties, McKenna believes New Zealand Chardonnay to be hugely underrated. While Central Otago grabs a lot of the attention, Martinborough is also renowned for its Pinot Noir, with production starting in the region around the same time as in Central. Escarpment is located within the wine region of Martinborough, within Wairarapa on the north island, which comprises the Martinborough GI, Gladstone GI and Masterton. 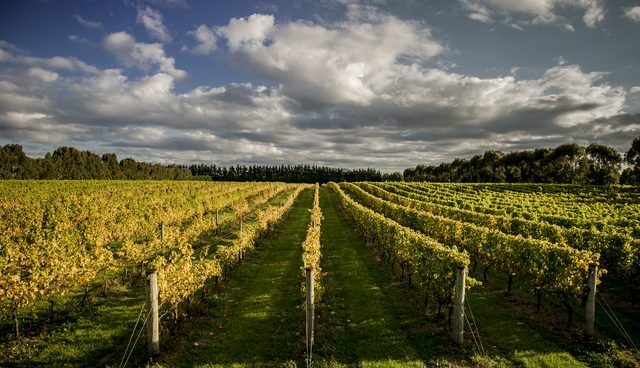 The region has recently been rebranded as ‘Wellington Wine Country’ in a bid to better communicate the region to consumers, and compete with Central Otago. We have 9 clones of Pinot Noir with 90% on own roots. I feel the own roots adapt to local conditions and express our taurangawaewae (terroir) better than grafted vines. Pinot Noir is probably the most genetically unstable variety (P.Gris, P Blanc) that probably favours this trait. Own roots are also less dependent on nutritional supplements. Nutrient analysis of clone 667 on own roots vs grafted to 3309 reveals significantly lower P levels in 3309 vines. We are on limestone slopes and differences are apparent between the top,mid and bottom slopes, consequently we pick each row 2-3 times to capture the optimum ripeness and characters. In Portugal, a grapevine selection methodology has been applied in the last 30 years that has produced remarkable results in improving the outcomes of clonal selection by measuring the natural variability within any given variety and then selecting a set of clones that together perform better than any of them individually. This has been a major factor behind the recent success of Portuguese wines and represents a major potential for the future as the knowledge gathered and the necessary conservation of the variety’s inner variability saves potential adaptation for climate change, emerging threats and consumer preference changes. To this day, more than about 15 000 clones of 70 varieties have been conserved and studied providing knowledge about each varieties’ adaptation potential to growing conditions and changing preference trends. A further 15 000 of another 130 varieties are on the pipeline. The same methodology could be easily deployed in New Zealand, gathering a representative sample of Pinot Noir or Sauvignon diversity, establishing their range of variation and setting a genetic pool for future adaptation that would be available for the industry at large.